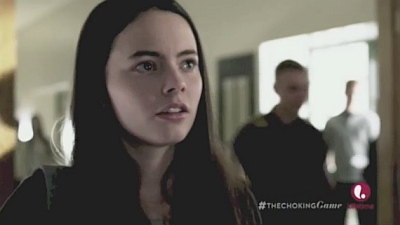 The original Lifetime movie The Choking Game debuted at #4 in the Nielsen Twitter TV Ratings “Top 5” for 7/26/14. On July 26, 2014, Disney’s Phineas and Ferb was the highest rated show on cable with a 0.5, followed by Spike’s Cops (0.4), Starz’s Power (0.4) & Lifetime’s The Choking Game (0.3). Phineas and Ferb was the most viewed program with 2.479 million viewers – followed by Cops (1.292), The Choking Game (1.070) & Power (0.754). Additionally, the hashtag #TheChokingGame took 15th place, out of 454 United States Trending Topics for Saturday July 26th. See more about the film, including upcoming showings, at Lifetime.